About a dozen slow crumbling adobe houses, and two still failry intact dwellings. Its a ghost town. What else do you need? 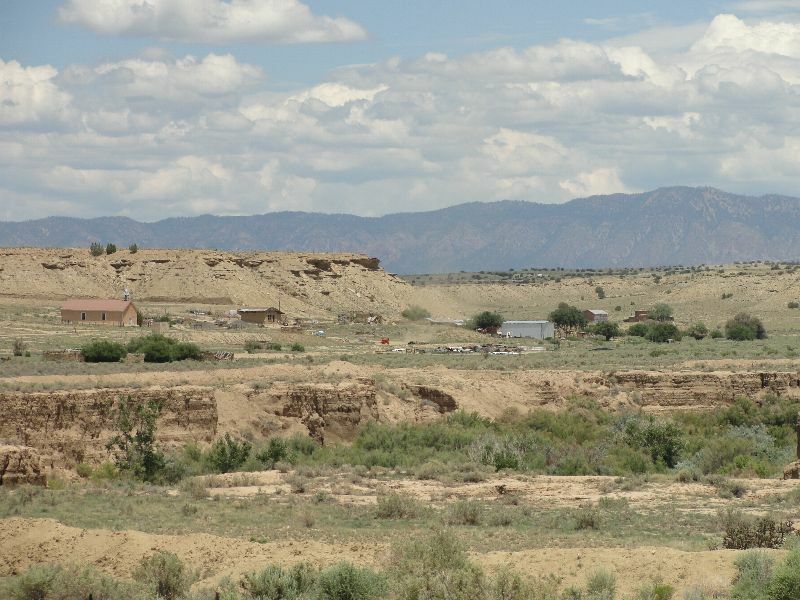 Cabezon was a farming and sheep ranching town beginning in about 1870. It never amounted to much, but was sustained by the continued graces of a Mr. Heller, who was post master, storekeeper and money lender to the whole valley. Cabezon idled along undisturbed until 1947, when the Rio Puerco river dried up, and Mr. Heller died. The post office closed two years later, and Cabezon became a ghost. Nothing. The river is still dry, and the residents aren't coming back. Soon it will all be gone. This location's validation is current. It was last validated by Opheliaism on 10/13/2009 11:21 PM. This page was generated for you in 62 milliseconds. Since June 23, 2002, a total of 574020954 pages have been generated.